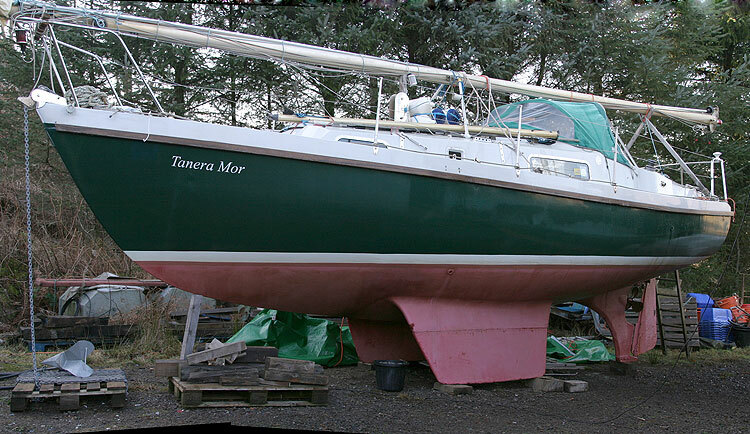 A fine example of the Mk II version of the C S J Roy designed Macwester 27, a popular and very tough bilge keel cruiser with a lot of space for a boat of its size and a cruising speed of 5.5 kts. 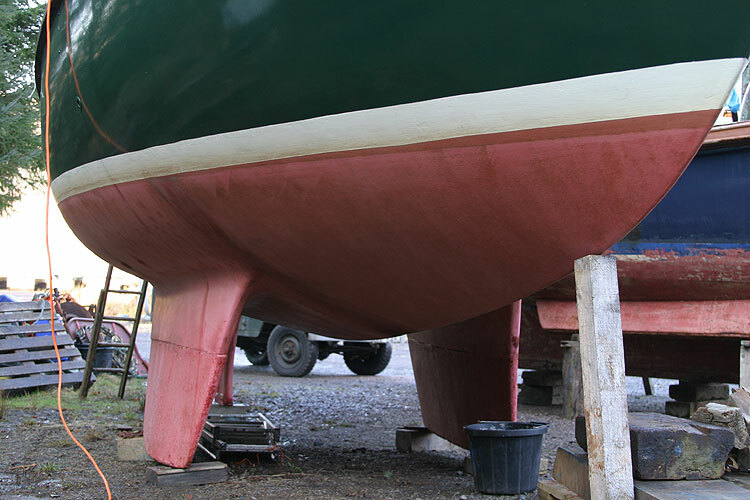 The Macwester is similar in many ways to the Westerly Centaur and is a comparable boat. 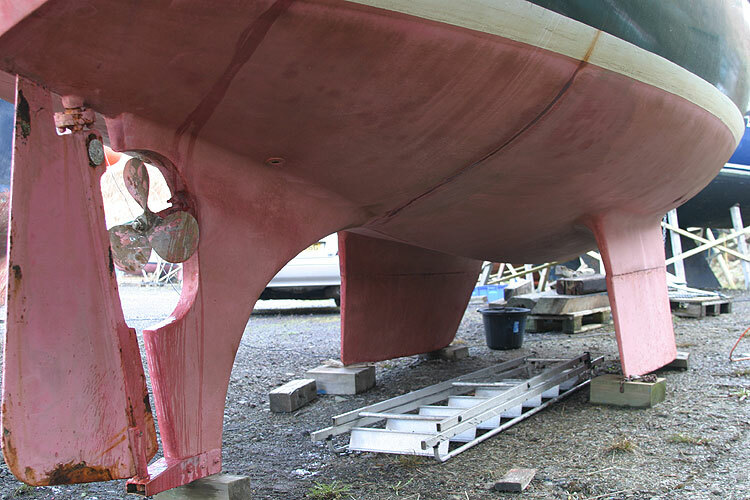 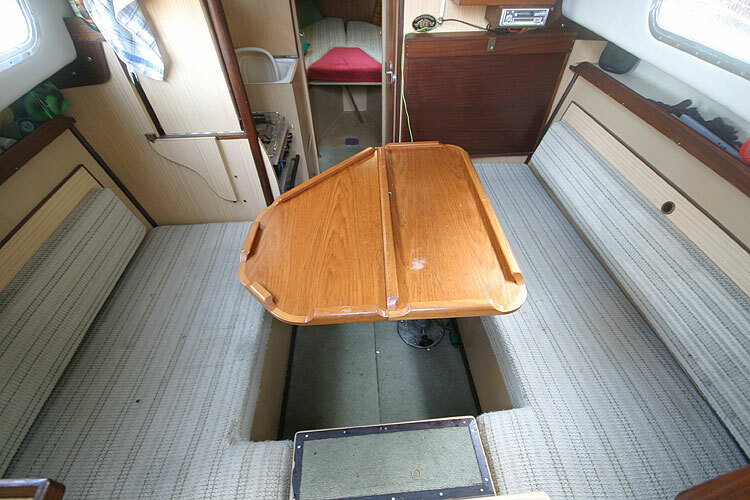 If you're considering buying a Centaur, don't miss looking at this boat. 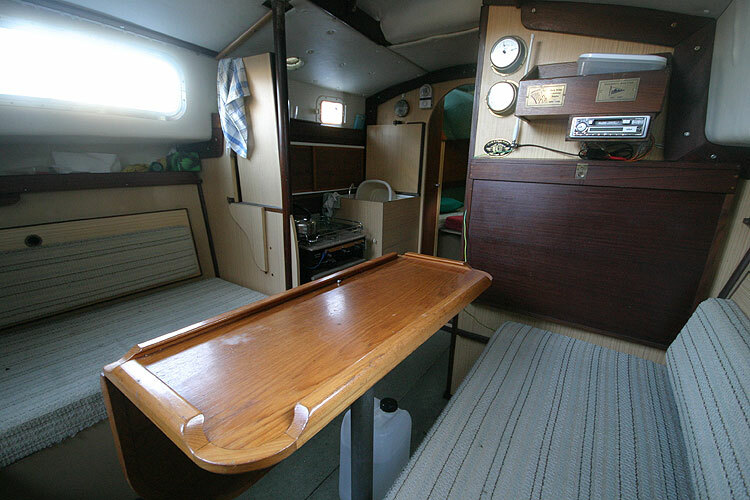 Well cared for and maintained, she comes with a good inventory including a spray hood and full cockpit tent with window panels/flaps, a cabin heater, a chart plotter, echo sounder and log. 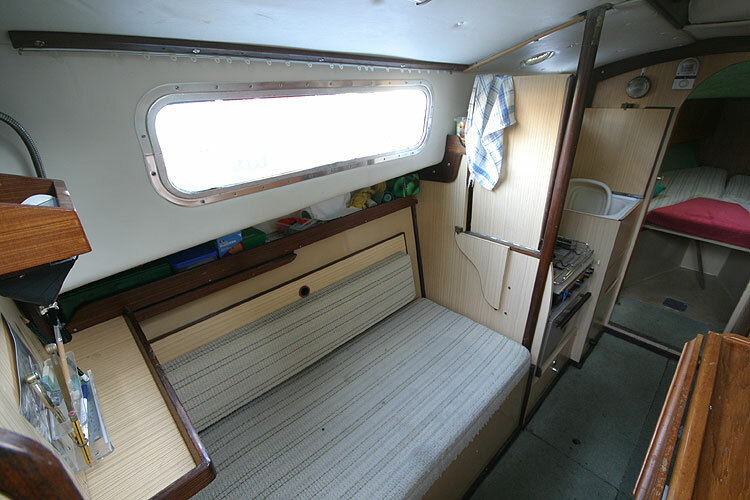 Although she is much loved the owner has now moved up to a larger boat for longer cruising trips but wants to see her go to a good home. 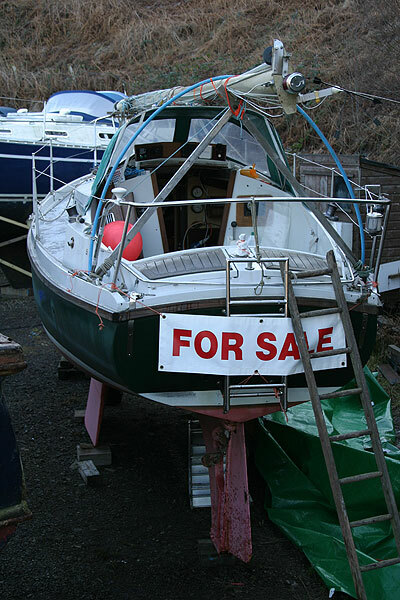 Accordingly she is available at a really excellent price. 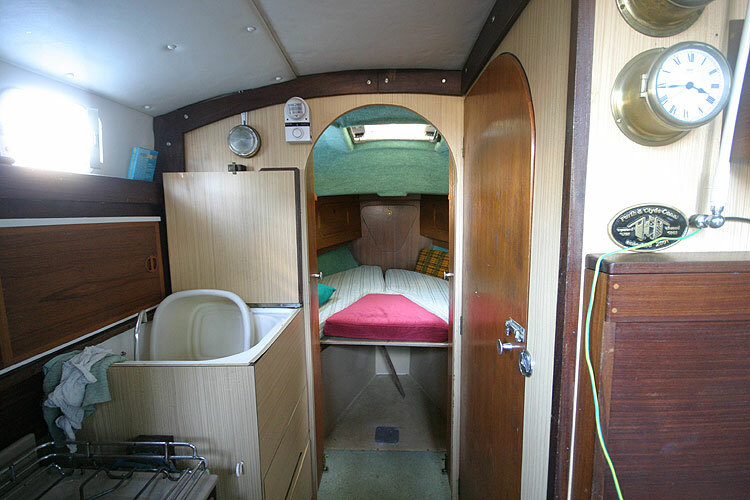 Yes, the interior is dated by today's standards, but she is in good condition and would be a perfect first cruiser for a couple with a limited budget. 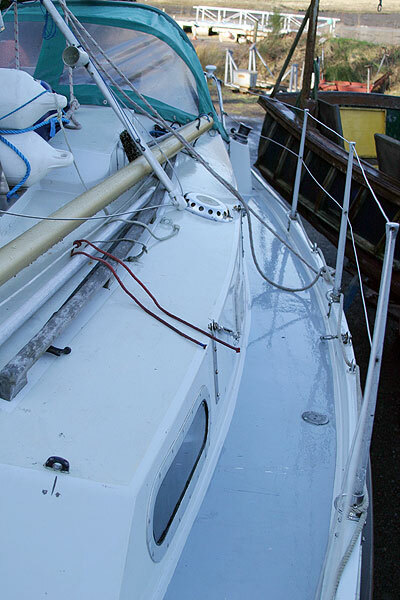 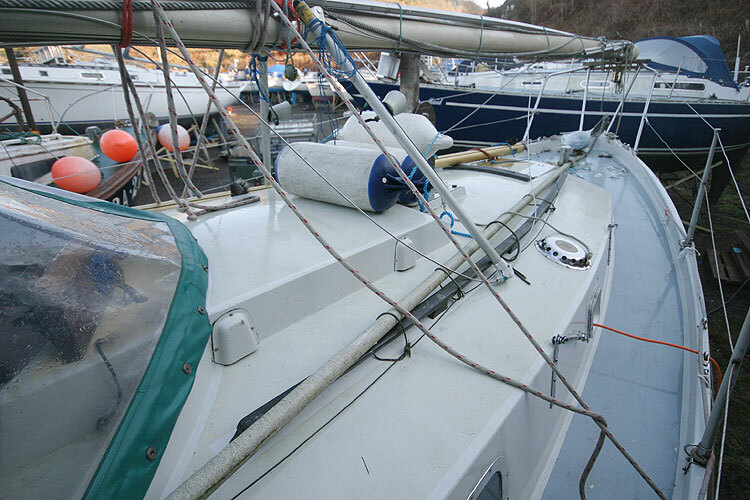 She was fitted with new standing rigging in 2002. 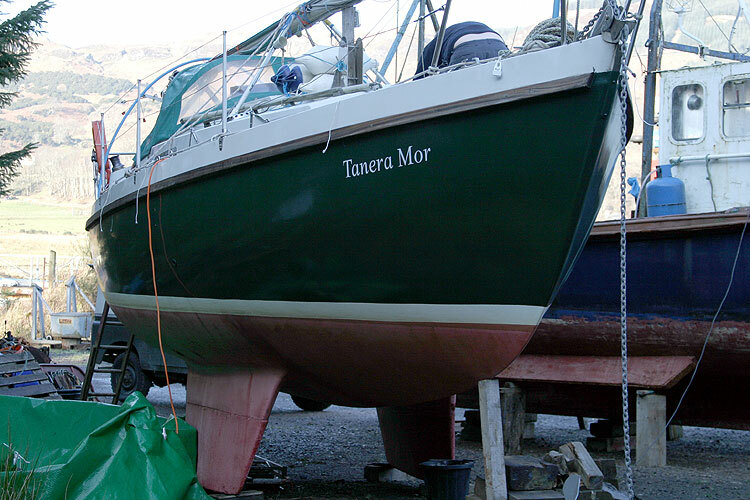 Wintered ashore and moored in season near Oban. 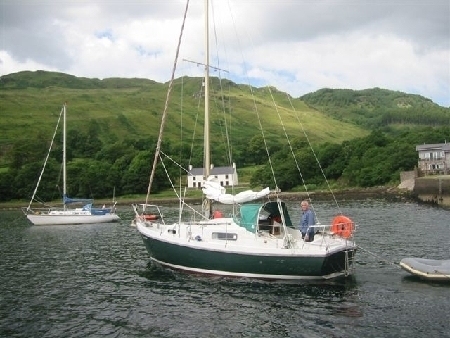 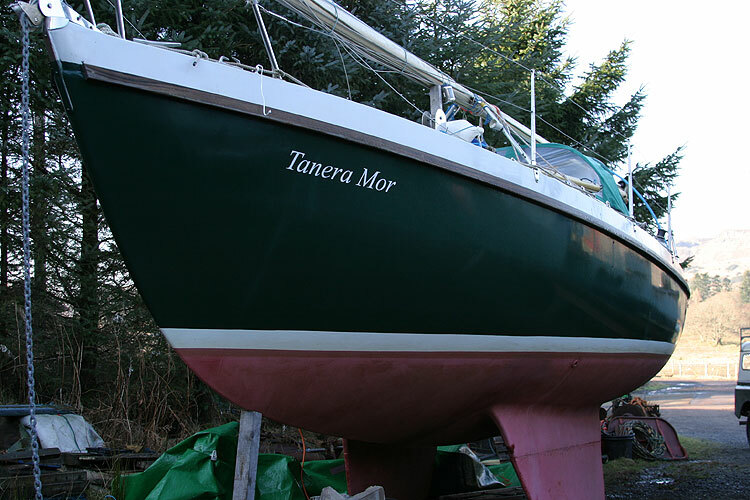 The current owner bought her in 1995 and has cruised her extensively, first on the East Coast and later on the West Coast of Scotland. 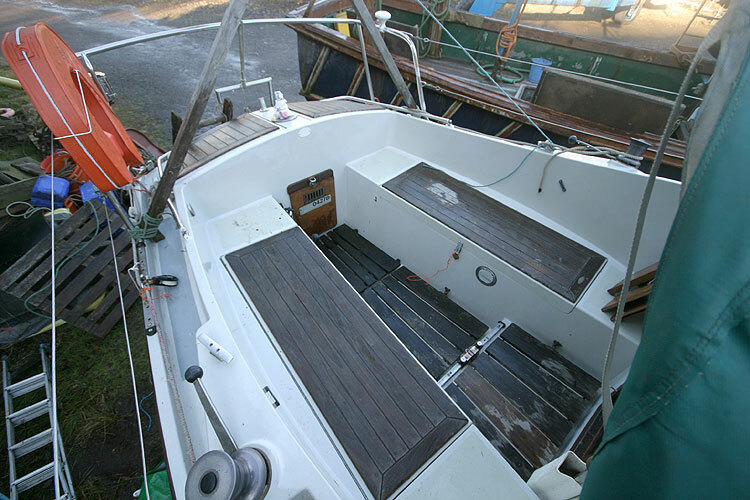 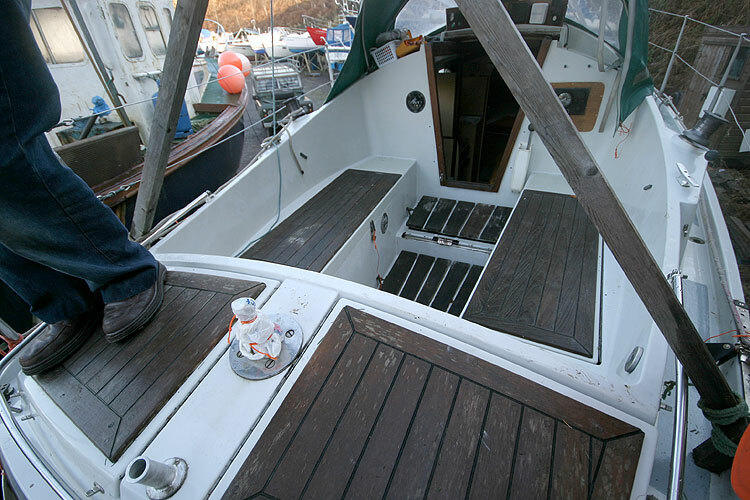 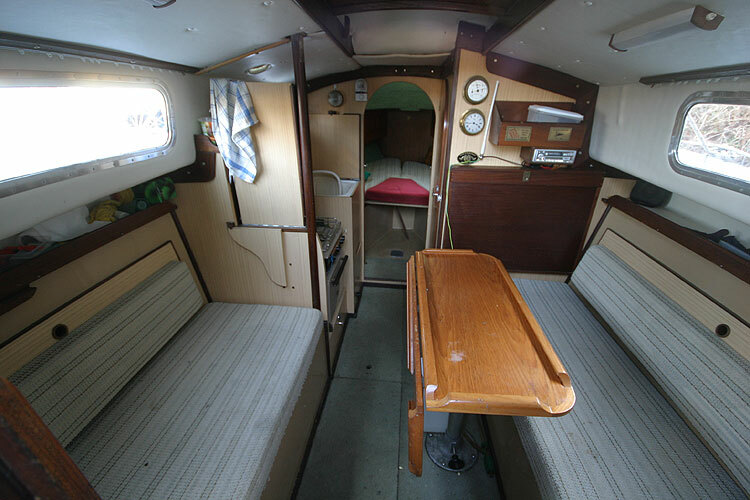 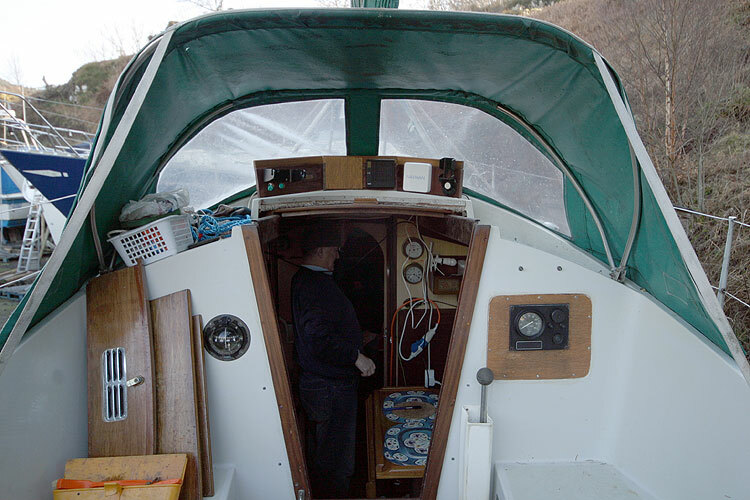 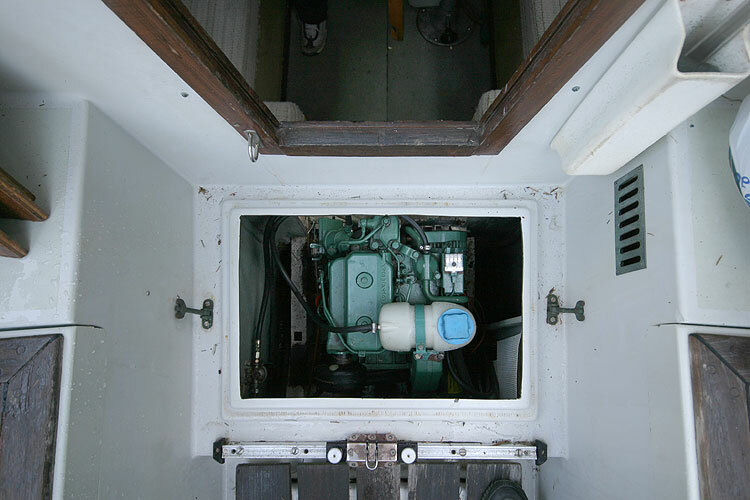 The Fore Cabin has 2 single berths with infill to use as a double, shelved lockers, hatch to fore deck, stowage under and hatch to chain locker. 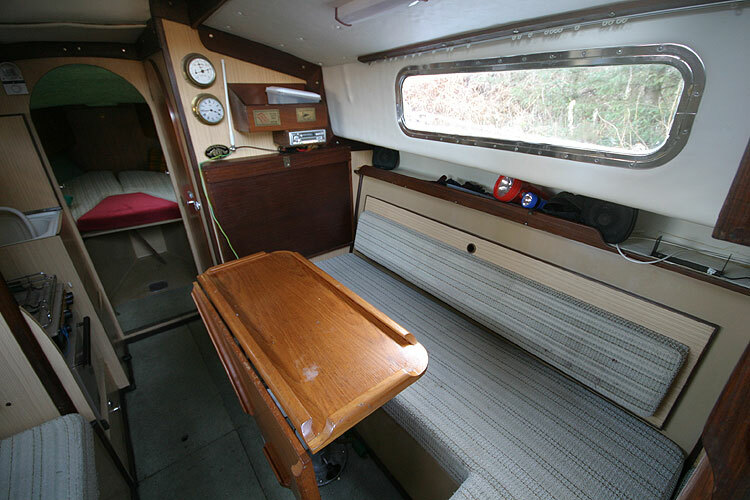 The Saloon has 2 berths with shelves over, stowage under and a table with folding leaf. 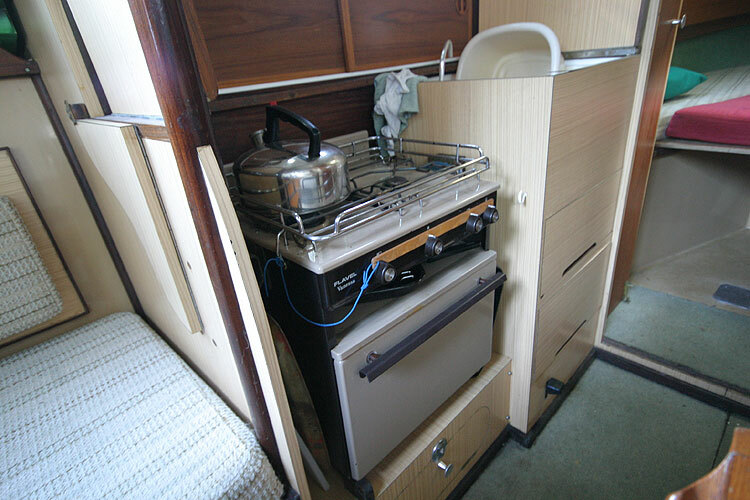 Flavel 2 burner cooker with grill and oven. 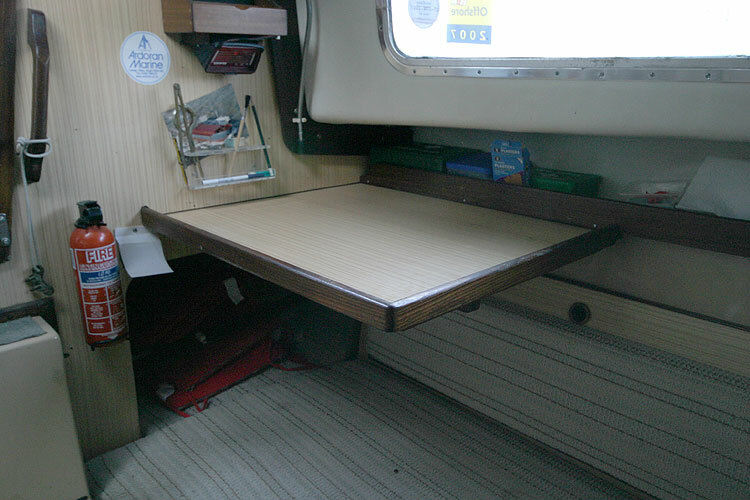 Sink and drainer, foot water pump, 2 drawers under sink. 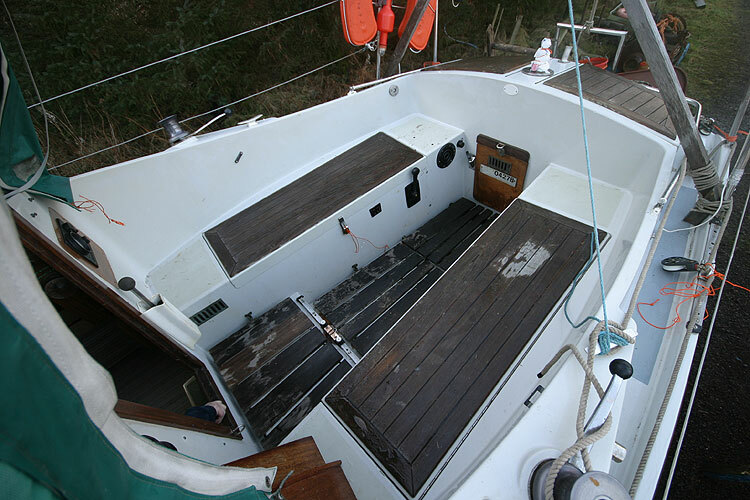 Roller reefing Genoa, tan, in good condition. 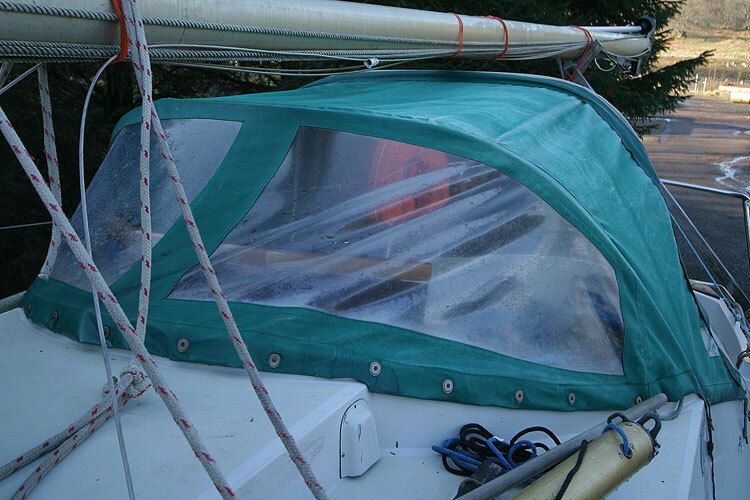 Main, white, by Southern Sails, new in 2001. 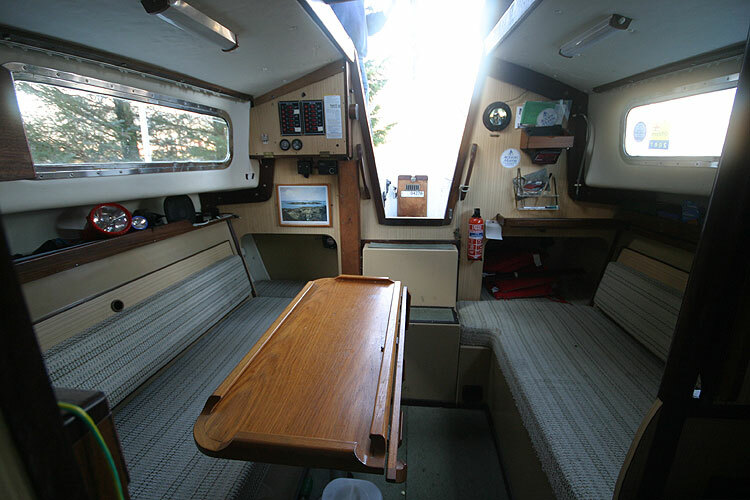 Navman sounder and log, new 2006. 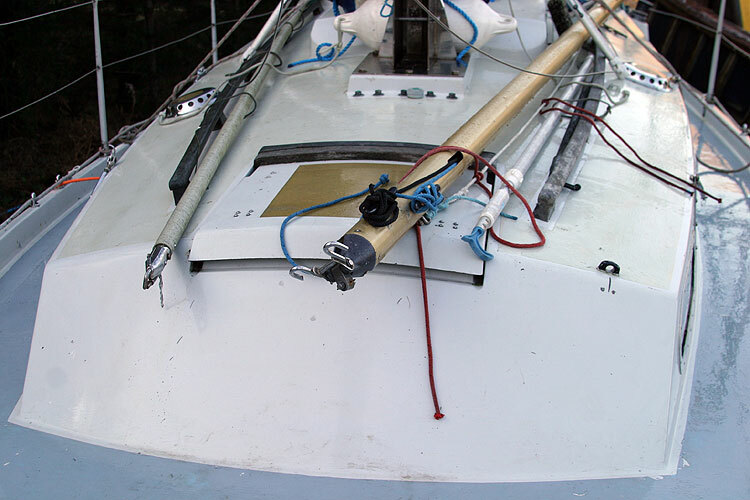 Swiftech M168 VHF with cockpit speaker. 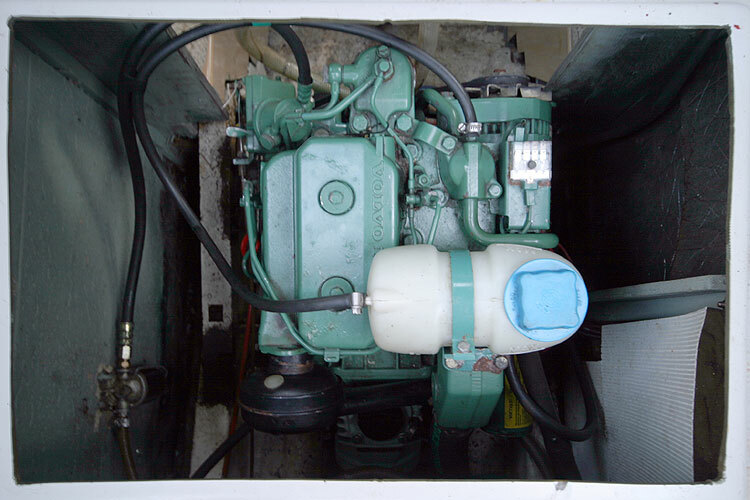 12 volt, two batteries (new 2007) for engine and domestic. 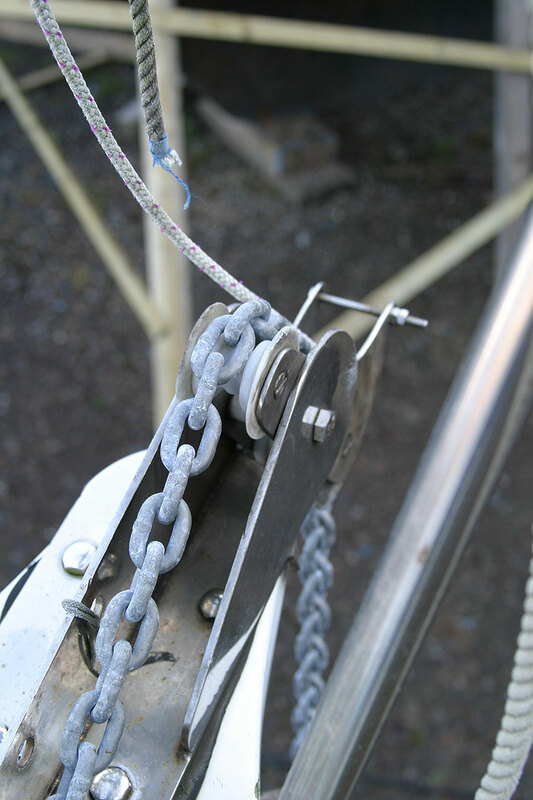 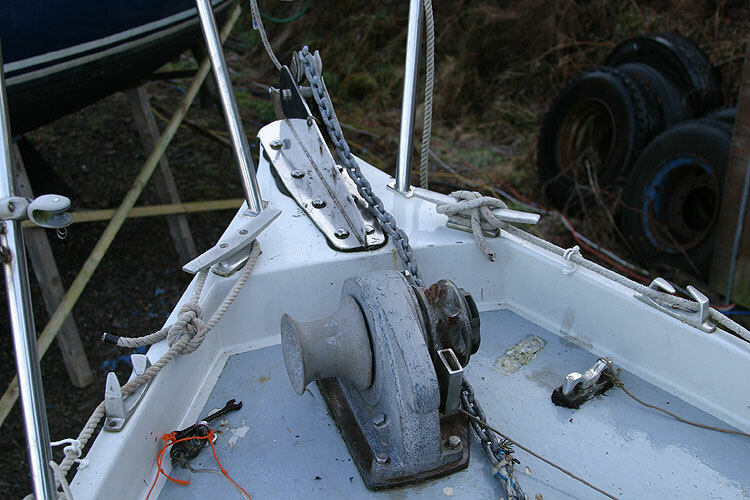 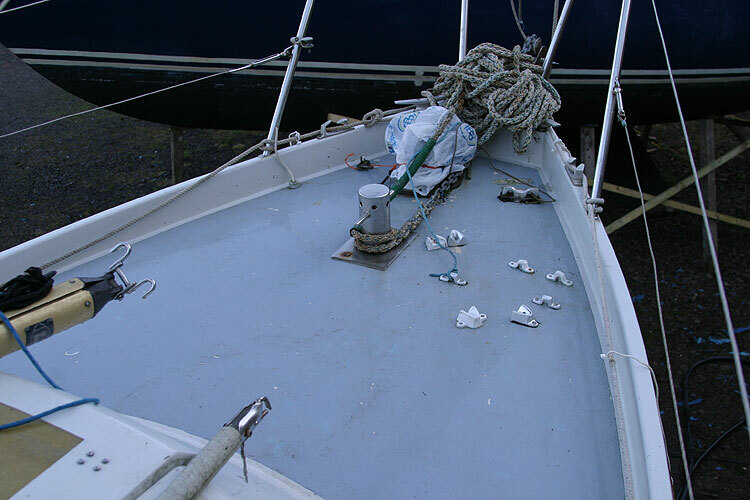 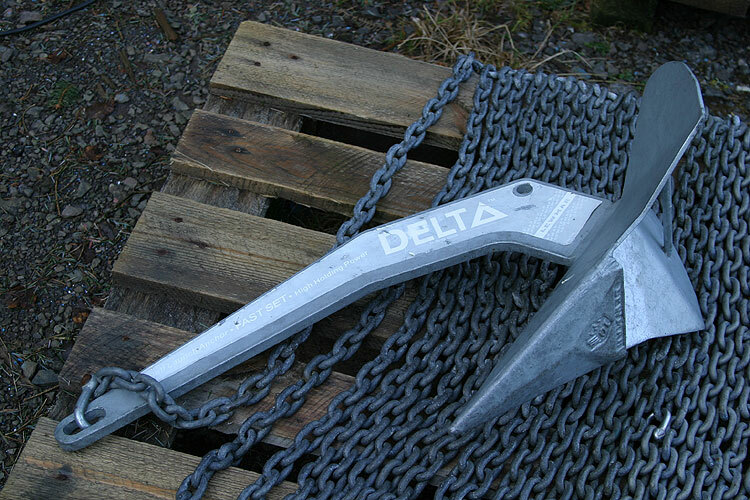 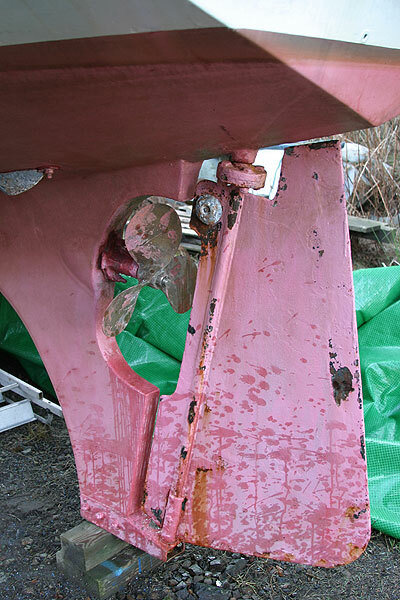 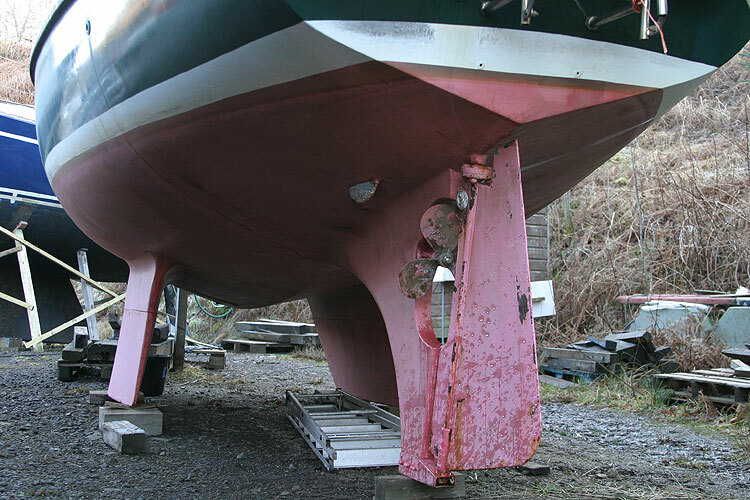 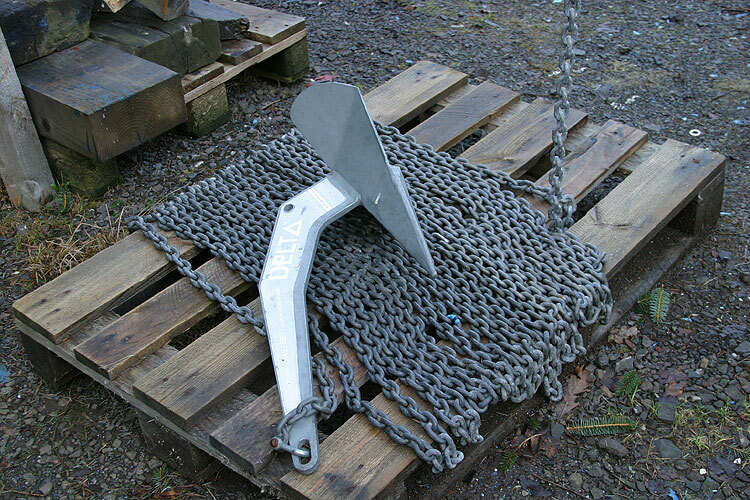 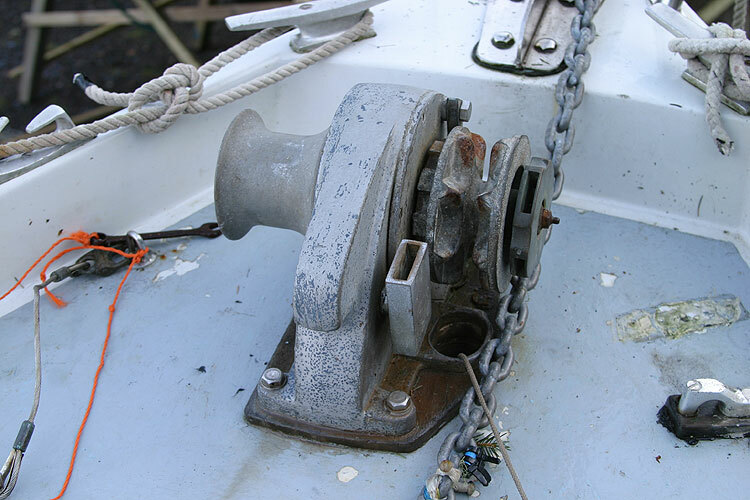 3 anchors, Delta, CQR and Danforth with chains, warps, fenders etc. 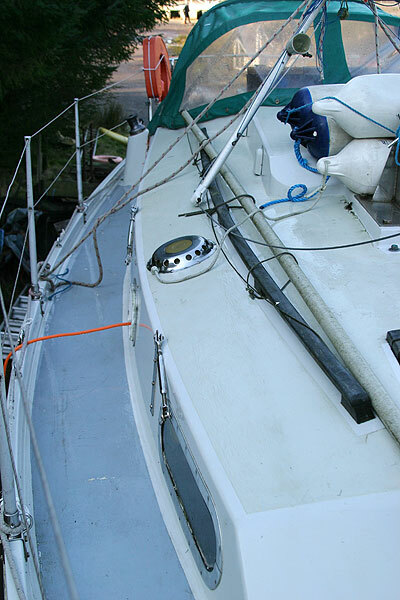 Avon Redcrest dinghy. 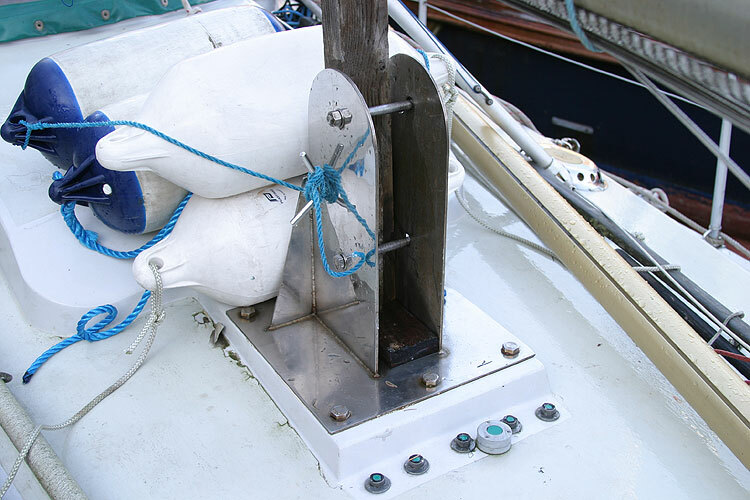 Lifebelt/light, rescue sling, boarding ladder on transom. 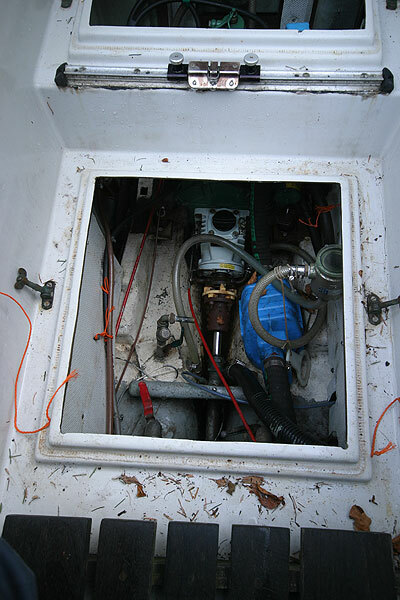 Propane gas bottle in drained gas locker. 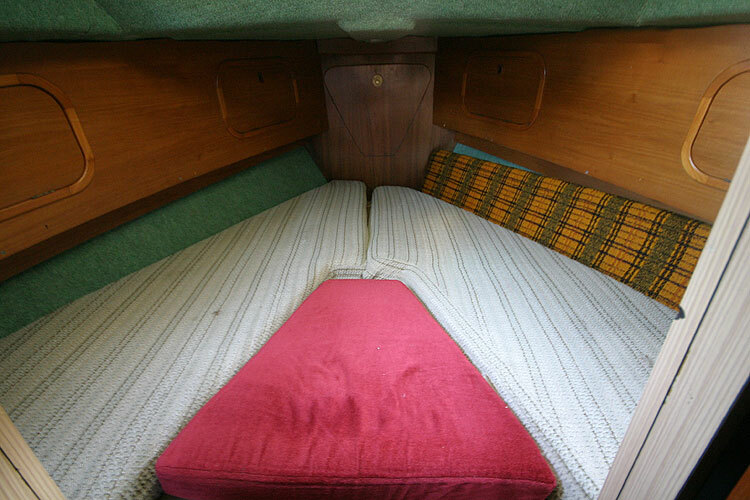 Propex gas hot air cabin heater. 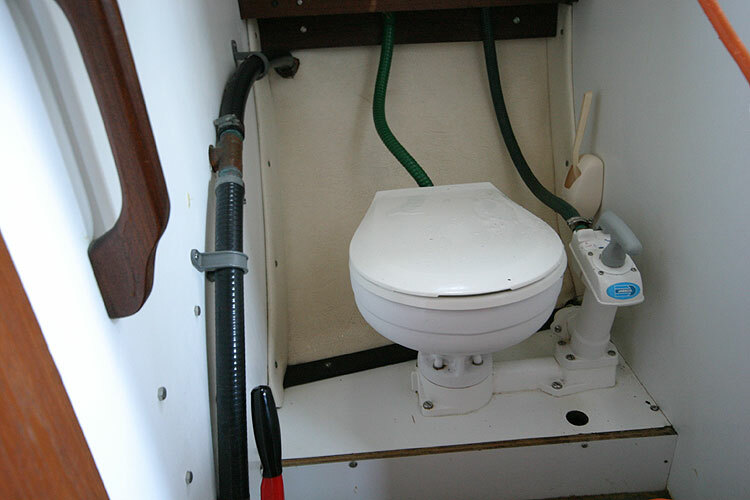 A new sea toilet was installed in 2001. 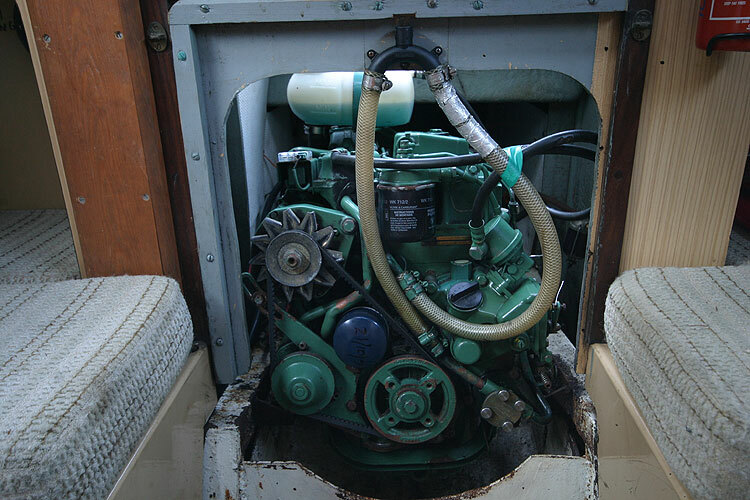 The engine was installed new in 1995 just prior to purchase by the current owner. 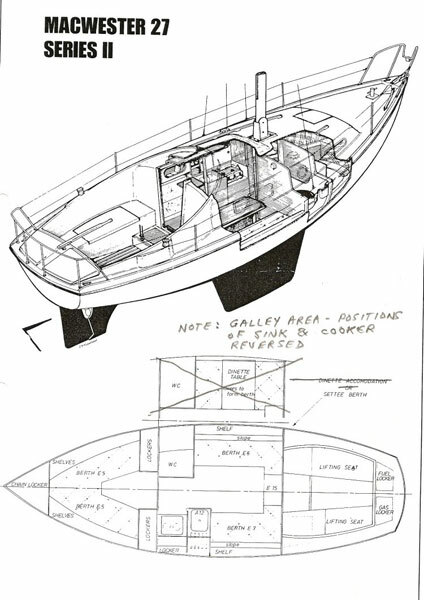 This boat is no longer for sale and remains here solely as an information resource for those researching Macwester 27 MkII's.